We are a team of fully accredited Sage implementation and software development professionals. We help our clients to grow their businesses by removing bottlenecks in their day-to-day tasks. We use technology to help automate processes across the entire business, so that our clients can spend more time working on growing their business rather than working in the business. “Our unique approach uses software to connect every part of your business like never before. We call it joined up thinking because it will bring out the best in your business and your people, every day”. 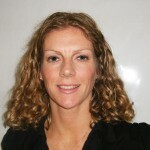 Sinead is Sales & Marketing Manager at Envisage. Having completed a Degree in International Marketing & Languages from DCU, Sinead has successfully marketed and sold the Sage brand for over 10 years. She brings extensive experience in matching customer needs to appropriate software solutions. 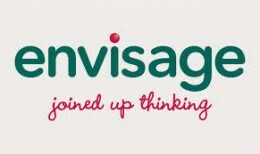 Since 2003, Sinéad has been responsible for the Sales and Marketing teams in Envisage. 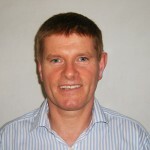 Ray has been involved in the software industry for almost 20 years. A graduate of the Marketing Institute of Ireland, his career has focused almost exclusively on accounting software products. With over 500 clients, and working closely with his management team, Ray has grown Envisage to become the largest Sage Business Partner in Ireland.